Mumbai, January 23, 2017: As a part of the 200 million customer milestone celebrations, Vodafone, one of India’s largest telecommunications services providers, today rolled out its best ever Data and Voice offers for Vodafone RED post-paid customers. Starting at an affordable Rs.499/-*, each of the Vodafone RED post-paid plans offers best-in-industry combination of worry free 4G/3G Data with unlimited calling, both local and STD. After the data quota consumption, further data usage will be charged at 50p/MB. These plans are currently not applicable in MPCG, AP&T, Bihar & Jharkhand, Jammu & Kashmir, and Himachal Pradesh. Vodafone RED, an all-in-one, integrated, worry-free solution, caters to the evolving data and voice needs of postpaid customers, supported with a best-in-class service experience. 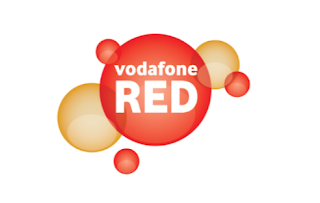 Vodafone RED customers also enjoy the services of a dedicated 24x7 Relationship Manager, their exclusive one-point contact for addressing all queries. Globally, Vodafone is one of the world’s largest telecommunications companies and provides a range of services including voice, messaging, data and fixed communications. Vodafone has mobile operations in 26 countries, partners with mobile networks in 49 more, and has fixed broadband operations in 17 markets. As of 30 September 2016, Vodafone had 470 million mobile customers and 14 million fixed broadband customers. For more information, please visit www.vodafone.com.